My post about Handel's Messiah attracted record numbers of readers from around the world. It just goes to show you can't keep a good old'un down. Which reminds me that Jimi Hendrix lived in an apartment next door to Handel's famous London residence at 25, Brook Street. That conjunction has even inspired a contemporary music project. And not only is 2009 the 250th anniversary of Handel's death. 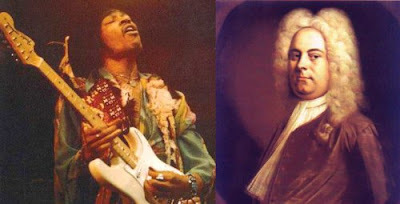 It is also the 40th anniversary of Hendrix's feedback-tormented Star Spangled Banner at the legendary Woodstock concert. And talking of Hallelujahs, cover versions of Leonard Cohen's 1984 song Hallelujah by Alexandra Burke and Jeff Buckley are currently taking the UK rock charts by storm. Which just goes to show you can't keep a good old'un down. Now playing - Handel's Trio Sonatas op. 5 played, appropriately, by the all-girl Brook Street Band, who also featured in a post which asked when does a recording become a forgery? 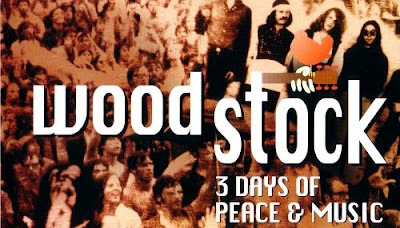 Moving from old to new takes us to new music's very own Woodstock.